All scores that include a part for at least one percussion instrument, such as vibes, xylophone, a drum kit, kettle drums, etc. ; but not keyboards. Scores with at least one part for percussion. 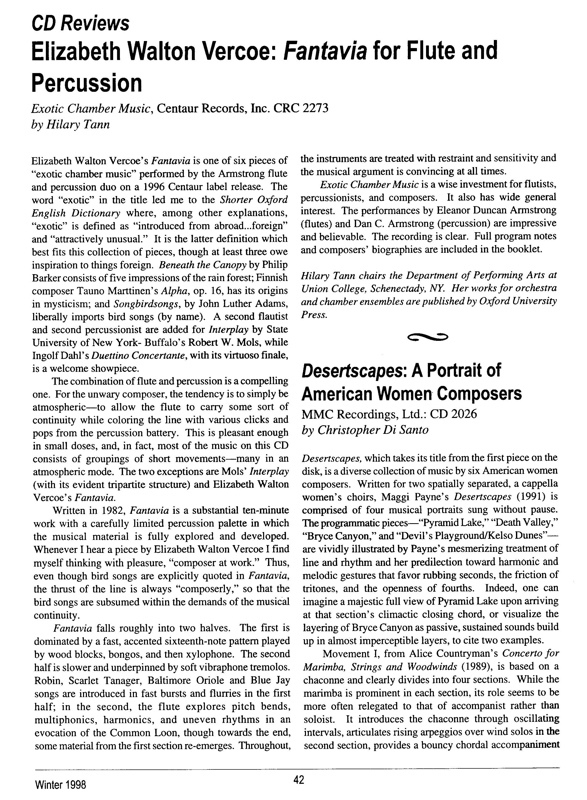 Noteworthy Sheet Music's chief editorial consultant Peter H. Bloom received Walter Finlayson's previously-unpublished score for 3 Pagan Dances from the composer's daughter, and we were delighted for the opportunity to become acquainted with this rousing, intoxicating work. For our publications, we've opted to create separate editions for the three pieces, giving players the choice of acquiring only one or two of the 3 Pagan Dances at a time, depending on their level of interest and performance needs. In each case we have maintained the composer's allocation of instruments per player. Pagan Dance I. Goddess of the Earth is scored for (1) snare drum/suspension cymbal/gong, (2) tom-toms, (3) temple blocks/xylophone/cowbell, (4) bells, (5) chimes, and (6) timpani. Pagan Dance II. Rain Forest is scored for (1) bongos/claves, (2) finger cymbals/suspension cymbal, (3) maracas/gong/wind chimes, (4) bells/tom-toms/gourd, (5) xylophone/timpani, and (6) vibraphone. Pagan Dance III. Temple of the Sun is scored for (1) xylophone, (2) tom-toms, (3) temple blocks, (4) gong/suspension cymbal, (5) chimes/crash cymbal, and (6) timpani. Our editions of the 3 Pagan Dances include both scores and parts. We at NSM are pleased to aid in the re-discovery of some of Walter Finlayson's compositions; for additional biographical information about this remarkable composer, please visit the Our Composers page. I. Goddess of the Earth: Score, 8 pages; Parts for (1) snare drum/suspension cymbal/gong, (2) tom-toms, (3) temple blocks/xylophone/cowbell, (4) bells, (5) chimes, and (6) timpani, 1 page each; Total, 16 pages. II. Rain Forest: Score, 6 pages; Parts for (1) bongos/claves, (2) finger cymbals/suspension cymbal, (3) maracas/gong/wind chimes, (4) bells/tom-toms/gourd, (5) xylophone/timpani, and (6) vibraphone, 1 page each; Total, 14 pages. III. Temple of the Sun: Score, 13 pages; Parts for (1) xylophone, 2 pages, (2) tom-toms, 2 pages, (3) temple blocks, 2 pages, (4) gong/suspension cymbal, 1 page, (5) chimes/crash cymbal, 1 page, and (6) timpani, 2 pages; Total, 26 pages. Described by the New York Times as a piece with 'timbral adventures and lovely moments', Fantavia for flute and percussion is based on the rhythms and melodies of North American birdcalls. Some of the calls are as familiar as the orioles and robins of a suburban back yard, while others like the common loon are recollected on awakening at dawn in the wilderness. Although a literal transcription was the starting point for each call, the music is intended as a fantasy. Click to preview p1 of Elizabeth Vercoe's Fantavia score. Fantavia has been performed at the Cité Internationale des Arts in Paris, at Merkin Hall in New York, at the National Flute Convention in Colorado and on several U.S. tours of the Armstrong Duo. The Duo recorded Fantavia on a Centaur compact disc entitled “Exotic Chamber Music” in 1996. Click to read a review published in the IAWM Journal. Click on the icons to hear audio samples. Named by the Washington Post as 'one of the most inventive composers working in America today', Elizabeth Vercoe has had performances throughout the U.S. and abroad including: the St. Petersburg Spring Music Festival in Russia, the Goethe Institute in Bangkok, and the Pompidou Center in Paris as well as by the New York Virtuoso Singers and Boston Musica Viva. Score for flute and percussion, 14 pages; Total, 17 pages. We also offer a printed hard copy edition of Fantavia for $20.40 plus a $5.95 shipping and handling fee. Due to prohibitively high international shipping rates, we ship print editions only to addresses in the USA. Please use the Contact Us form to let us know which hard copy publication(s) you would like to purchase, along with your email contact information and USPS mailing address. We will then send you a PayPal invoice for the sale and, once we receive notice from PayPal that you have paid for the item(s), we will ship your music to the address provided.